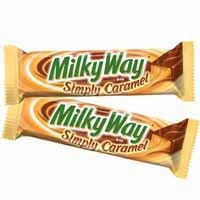 $1 off 2 Milky Way Bars Coupon! Possibly FREE! Print a coupon for $1.00 off when you buy ANY 2 Milky Way Brand Single bars (1.76 oz. - 2.05 oz.) If your store has these on sale for $.50...that's FREE chocolate! !